Anyone trying to predict what might happen in politics in 2016 could not possibly have foreseen the strange and sometimes miraculous events that took place over the past year. With the aftermath of Bridgegate trailing behind him like tin cans behind a car, Gov. Christopher Christie tried and failed to win the Republican presidential nomination. After opposing then endorsing Donald Trump, who became president-elect by the end of the year, Christie was cast aside, returning to New Jersey with an historically low 18 percent approval rating and resuming his continuing conflict with New Jersey Democrats – who in turn debated whether to try to impeach him. The victory of Trump over Democrat Hillary Clinton was perhaps the most shocking and unpredictable event in a year of unpredictable events, setting the stage for a new more conservative U.S. Supreme Court. GOP control of all three branches of federal government will create challenges for Democratic leaders locally, who must somehow work to continue to bring federal funding into the region. For U.S. Sen. Robert Menendez, who has been charged with corruption by the U.S. Department of Justice, a Trump administration does not bring hope of a reprieve. Waiting in the wings is former U.S. Sen. Robert Torricelli, who reportedly is brushing up his legislative skills for a possible return to the Senate. 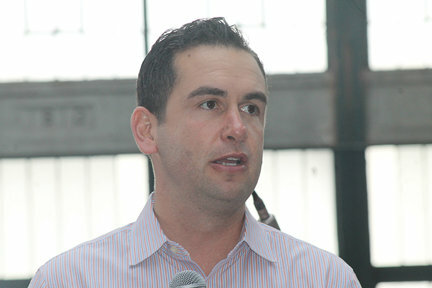 This year saw the reelection of all three House of Representative members representing Hudson County, Albio Sires, Bill Pascrell and Donald Payne, Jr.
At the start of 2016, most political observers thought Jersey City Mayor Steven Fulop would be the frontrunner if not the inevitable Democratic nominee for governor going into the 2017 Democratic primary. But Fulop withdrew from the governor’s race in September in an announcement that took even some of his closest advisors by surprise. Few could have foreseen the massive stroke that disabled Secaucus Mayor Michael Gonnelli in June. Fewer still could have predicted the miraculous recovery that not only kept him whole and healthy, but allowed him to get back to work as mayor by September. Facing charges of alleged bribery concerning his medical practice, West New York Mayor Felix Rogue was exonerated in December, the second time in three years the mayor has survived charges of wrongdoing. The deaths of Harold “Buddy” Demellier Jr. in May, former Jersey City Councilman Jaime Vazquez in June, and Bill Gaughan in October left gaping silences in the political scene. All three men were seen as giants over the last three decades. But the deaths of larger-than-life figures also left their imprint this year in Hudson County. The passing of Muhammad Ali in June and Fidel Castro in November had widely divergent responses. Many local political figures remembered Ali’s visit to Hudson County in the 1990s, and many expatriates from North Hudson celebrated Castro’s passing as a positive sign for the future of Cuba. The slaughter of 50 people in an Orlando night club brought out thousands of people to downtown Jersey City for a powerful grassroots show of support for the LGBT community. Jersey City is seen as one of the most LGBT-friendly cities in the county. In July, Jersey City Mayor Steven Fulop married Jaclyn Thompson, a local business owner, in what many saw as a storybook wedding symbolic of the new, young and up-and-coming nature of Jersey City. The mayor’s year was filled with political maneuvering, as Fulop backed a successful bid to have municipal elections moved from May to November. This was thought to be in anticipation of his run in the 2017 democratic primary for governor, something he derailed with his announcement in September. Fulop also backed off support for a referendum that might have brought casino gambling to Jersey City and the Meadowlands. This caused a divide inside the Fulop administration. Ward F Councilwoman Diane Coleman gave up her council seat to seek and ultimately get elected as county register, leaving a vacancy on the council that will be filled early in 2017. In June, Councilman Khemraj “Chico” Ramchal pleaded guilty to charges arising from a 2015 drunken driving arrest. As part of a plea deal to avoid jail time, he resigned his council seat representing Ward B. Although Fulop was able to get John Hallanan to fill the seat temporarily, Hallanan lost the seat in a special election in November. Chris Gadsdon won, reducing Fulop’s majority on the council to 6 to 3. In yet anther continuing conflict, Friends of the Loews Theater successfully won back in court a grant that was taken from them by the Board of Freeholders last year at the urging of Fulop. Fulop had hoped to take over the Loews to recreate a performing arts center, but previous court rulings said the city had a valid contract with FOTL until 2021. On Sept. 28 Fulop shocked the city when he announced me would not seek the nomination for governor, but would seek reelection as mayor instead. Within a short time, Bill Matsikoudis, corporation counsel for Jersey City under former Mayor Jerramiah Healy, and former Assemblyman Charles Manior announced they would run for mayor as well. Freeholder Bill O’Dea, a Fulop ally, was slated to announce his run for mayor as well. By year’s end, he had not dismantled his campaign, suggesting he might still run. Conflicts from 2016 over the contract renewal of School Superintendent Dr. Marcia Lyles spilled over into 2017 with a vengeance. Anti-Lyle board members filed an unsuccessful suit to negate the contract renewal from late in 2015, and vowed to appeal the count decision. Three strong Lyles supporters on the board – Micheline Amy, Jessica Daye, and Ellen Simon – first elected in 2013 with strong support from Mayor Steven Fulop, decided not to seek reelection, paving the way for the November election that saw control of the nine-member board shift to the anti-Lyle’s faction. Well before there was any need, Hoboken Mayor Dawn Zimmer announced in March that she would seek reelection. This may have been to dispel rumors that other candidates, even those perceived as her loyal followers, might be getting antsy about waiting for their turn. This followed some defections over the controversial redesign of Washington Street, forcing some rethinking about what should be done. Later in the year, council members would again rebel against her, rejecting a compromise that would allow the developers of the Monarch waterfront development to build a denser project inland. Yet for the most part, the Hoboken political scene remained relatively quiet, with most of the attention focused on the school board race. Zimmer-supported Board of Education candidates won. Incumbents Jennifer A. Evans and Irene Sobolov won re-election, joined by Sheillah Dallara. Although Freeholder Anthony Romano appears to be the front runner in the 2017 mayoral election against Zimmer, he spent most of his time in 2016 building a base to retain his freeholder seat. A move early in the year to recall Bayonne Jimmy Davis failed to materialize when supporters of the move could not gather the necessary signatures. This did not dispel the bad feelings of former Davis supporters who continued to ponder their options throughout the year. The most serious political intrigue came by way of the relatively new school board elections. In November, Carol Cruden, Denis Wilbeck and Mary Jane Desmond retained their three-year seats in the Bayonne Board of Education while retired Bayonne Deputy Police Chief Charles Ryan won the unexpired two-year term that opened up when Barry Kushnir resigned in September. Although the board did not have the same openly political divisiveness as in Jersey City, the board election seemed to focus on individual personalities and a shared agenda to replace Dr. Patricia McGeehan as superintendent. By year’s end, the board was already seeking a temporary superintendent and began a search for a full time replacement. But the tension between City Hall and the Board of Education escalated over finances, making it likely that one or more current members of the board may seek to run for City Council in 2018. Development throughout the city became areas of disagreement, including the hotly contested approval for a Muslim center on the east side of the city. As with Hoboken, North Bergen in an off election year lacked many of the public political battles of the past. The biggest changes came with new incoming board members Patricia Bartoli, Luis Rabelo, and Sai Rao. Typical of North Bergen, voters rejected the school budget, requiring the town commissioners to revise and vote on it later. But North Bergen has seen a trend of ethnic change, especially near the southern end where strong Hispanic population growth could mean interesting things in the future. With his civic association giving away a record number of turkeys this year for the holidays, State Senator and Union City Mayor Brian Stack still enjoys a political honeymoon after nearly a decade of political turmoil in North Hudson. The redistricting of his legislative district to include more of Jersey City has given Stack more influence in the county, and could prove useful in 2017 when his political machine will gear up to support Democratic hopeful Phil Murphy for governor. In the aftermath of the successful election of Trump, Stack has taken a position that he will not authorize local police to round up illegal aliens for deportation, vowing not to tear families apart. This aligns him with Jersey City Mayor Fulop, who has taken a similar stand. No one yet knows if Guttenberg Mayor Gerald Drasheff will seek reelection in 2017. But in 2016, Guttenberg remained a relatively quiet place politically. The Guttenberg Board of Education race for a trio of three-year terms saw the election of William Hokien, Mark R. Rogers, and incumbent Marisol Montanez. Wayne D. Zitt Jr. was uncontested in his bid to fill the unexpired term of former Councilman Efrain Velez. Zitt was named to the council in December after Velez retired. Meanwhile, Eleanor Villalta was elected to fill the unexpired term of her late husband, former 2nd Ward Councilman Victor B. Villalta, who died in May. In Weehawken, incumbent Board of Education members Julian Brian Mera, Susan Morales Jennings, and Francis Pizzuta won reelection to three-year terms. Voters also approved the school budget. West New York Mayor Felix Roque’s acquittal on bribe taking charges on Dec. 21 ended yet another year of high drama in West New York. Roque had been accused along with a number of other medical providers of taking bribes to steer patients to Bergen County-based testing labs. Although overshadowed by Roque’s trial, the school board election remained unresolved by the end of the year. In November, voters reelected incumbents David Morel and Ronald C. Scheurle to three-year terms. But the vote showed a very narrow lead by Jose M. Alcantara over Alex Navas. A recount performed by the Hudson County Board of Elections narrowed the vote lead to three. This sends the case to the courts where disputed votes not-allowed on election night might swing the election either way. Reacting to speculation that he might not seek reelection due to the nearly-crippling stroke he suffered midway through 2016, Mayor Michael Gonnelli announced he would run again in 2017 for mayor. The resignation of Town Administrator David Drumeler started the rumor mill churning, partly because it came on the heels of Gonnelli’s stroke and recovery. But what followed was a series of methodical changes that included naming 1st Ward Councilman Gary Jeffas to replace Drumeler, and the choice of Board of Education President John Gerbasio to fill Jeffas’ council seat. This forced Gerbasio – who was running for reelection to the Board of Education – off the school board ballot, leaving four candidates for three seats. The election resulted in incumbents Kathy O’Connell and Jack A. McStowe were re-elected to two of the board’s three-year terms. Sharon Dellafave was also elected. Previous PostPrevious KILLOUGH, SISTER MAUREEN. Next PostNext Did you miss these stories from Bayonne?